Showers and thundershowers likely. High 66F. Winds SSE at 10 to 15 mph. Chance of rain 100%..
Cloudy. Areas of patchy fog. Low 52F. Winds S at 10 to 15 mph. 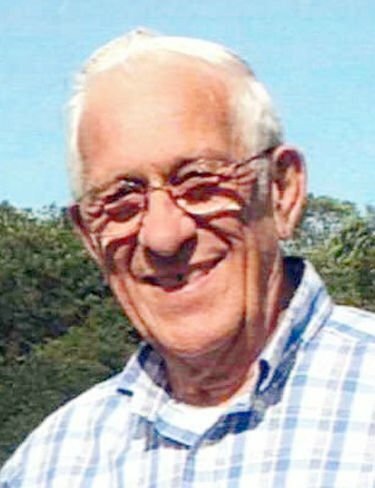 James W. Townsend RANDOLPH -- James W. "Jim" Townsend, 76, died Friday evening, Dec. 28, 2018, at Gifford Medical Center. Jim was born Feb. 19, 1942, in Hanover, New Hampshire, the son of Dwight Townsend and Doris Waldo. Jim was a lifelong resident of Randolph and attended Randolph schools. He married his wife, Barbara (Dumas), in 1960. Jim had worked as a concrete truck driver for many years. Later, he owned and operated Ferriter Oil Co. for 25 years. Jim was an animal lover; he enjoyed feeding the birds. He loved camping, hunting, snowmobiling and water skiing. Jim was a longtime member of the White River Valley Snow-goers and the NRA. Jim is survived by his wife of 58 years, Barbara; daughters of the heart, Cindy Legacy and husband Alan, of Randolph, Deb Button and fiancé Roy Fifield, of Bethel; brothers David Townsend, of Bethel, Rudy Townsend and wife Brenda, of Williamstown, Dwight “Gary” Townsend, of Nashua, New Hampshire; brother-in-law, Arnold Dumas; many grandchildren and great-grandchildren of the heart; nephew, David Dumas, and many other nieces and nephews. He was preceded in death by his parents; stepmother, Thelga Townsend; brother, Larry Townsend. There are no calling hours. There will be a graveside service held in the spring. Contributions may be made in his memory to: American Kidney Fund, 11921 Rockville Pike, Suite 300, Rockville, MD 20852. Online condolences may be made at www.dayfunerals.com. Arrangements are under the direction of the Day Funeral Home Inc. in Randolph.